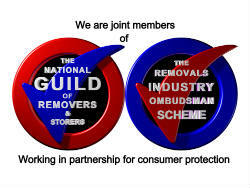 At Pers Removals, we put customers first. 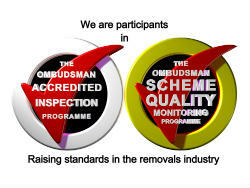 This ensures that every project we undertake is complete to the highest standard, helping our reputation as one of the foremost removal companies in Ealing grow. From packing to storage, we can make the whole process of moving effortless. Since we began, we have strived towards providing a service designed around client’s needs. A removals service in Ealing that cannot be matched. We promise to take care of you and your belongings and we use tailored vans to ensure that your items are safe in transit. To ensure that our reputation as the best company offering removals in Ealing grows, we provide an array of services designed to make moving home simple. From packing up your items to storing them safely, we can help you every step of the way. What’s more, our team are highly experienced and can advise you on the best techniques and course of action during the move. We have moved over 4,000 families without issue and are ready to help move thousands more! On top of our incredible service, we aim to keep prices as low as possible too. We can offer a solution that is within budget, ensuring that your move doesn’t cost the earth. Our quotes are available for removals and long or short term storage. Contact us today to obtain your no obligation quote. We have a deep knowledge of the Ealing area, helping us make a more efficient and time-effective service. We want to make sure that when you arrive at your new home, everything will be being taken care of by our crack team of removal experts. To find out more about our removals services in Ealing, call us today on 0845 603 5527 for a free quote.